Dead former United States presidents, from George Washington to Gerald Ford have been resurrected, and thats BAD. The Marvel heroes cant be the ones to stop them, someone is needed with the reputation, skills and plausible deniability to take out these com-monsters in chiefs... NOW! 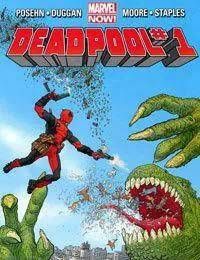 is the time for Deadpool... In Wade We Trust!